Hello, and welcome again to another Weekly Roundup! In the Weekly Roundup, I provide links and summarized information about the crowdfunded projects, creator opportunities, and resources that have caught my eye over the week. I hope you enjoy! The 2016 EIW Awards are the first of their kind, designed to celebrate and promote the immense creativity of the thriving webcomic community. They are dedicated to the indie spirit of the creators doing it themselves, their way, without the marketing might or money of major publishers. They are meant to bolster the indie webcomic community, and we hope that they will become something for the community to look forward to every year. Be sure to apply or submit by October 30, 2016! The WNDB Walter Dean Myers Award for YA 2017 is accepting submissions of diverse YA novels by diverse authors. Publishers, please submit one physical book to each of the committee members for their consideration. Authors, consider making your publishers aware of this opportunity for your book to receive recognition. The deadline for submissions is November 1, 2016. …Broadening the range of characters portrayed in comics, adding to the variety of creators contributing to the medium, influence on the marketplace and contributions to the advancement of women, minorities and LGBTs in comic books and pop culture. Nominations are accepted until December 31, 2016, and the award ceremony will take place in Long Beach, California on February 18, 2016. Think about your favorite creators whose work has helped transform the modern comic landscape and give them a chance to get the recognition they deserve! Wax & Wane, a comic by (one of my lifelong favorite artists) Kelly Bastow, is running a Kickstarter to fund the productions of its first volume! The book will be perfect bound, in 56 full color pages. Tier options include PDF or print copies of the book, sketches, prints, and a Skype lesson by none other than Bastow herself! The Kickstarter ends October 31, 2016. The webcomic Johnny Wander is running a Kickstarter to produce an omnibus edition of their comic. 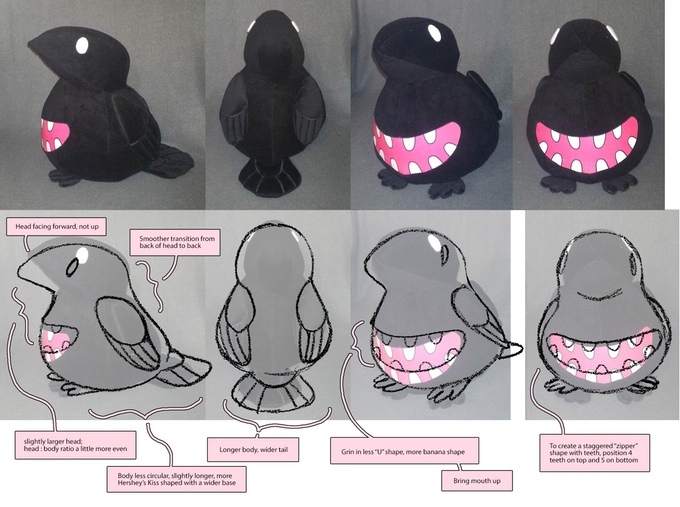 Tier options include PDF and physical copies of the books, a pin, a signed book plate, a plush of Maw, and more! The Kickstarter ends November 1, 2016. Sari-Sari Storybooks is running a Kickstarter to fund the production of its 3-book collection aimed at children aged 5-8. The books, available in both media-rich digital books and printed editions, will feature underrepresented and endangered language groups of the Phillippines. Tier options include the digital or printed books, sticker sets, and custom artwork. The campaign ends November 1, 2016. O Human Star, a comic about an inventor who awakens 16 years after his death and is faced with unresolved relationships and a world full of robotics, is running a Kickstarter to fund production of its Volume 2, as well as a reprint of Volume 1! Tier options include print and PDF versions of Volumes 1 and/or 2, an enamel pin, magnet pack, character sketch, and bookplate. The Kickstarter ends November 3, 2016. The Femme and Flora Coloring Book is running a Kickstarter to help fund the production of the beautifully illustrated art nouveau-inspired coloring book. The book’s artwork features diverse women of all sizes, ages, and races. Tier options include the PDF and printed forms of the book, postcards, a colorable t-shirt, and a commissioned piece of art! The Kickstarter ends November 3, 2016. Sarah of SenshiStock is running Kickstarter for a Magical Girl Coloring Book featuring her art as well as art from Yoshi Yoshitani, KoriMichele, and more! Tier options include a digital coloring page, the coloring book itself, and original artwork. The Kickstarter ends November 6, 2016. Couture, a collection of short comics inspired by iconic moments in fashion history, launched its Kickstarter this week. Contributors include renowned illustrators Jen Bartel, Marguerite Sauvage, Kevin Wada, and more. Tiers include a PDF or hard-cover copy of the book, a postcard, an enamel pin, and prints. The Kickstarter ends November 18, 2016. Blizzard has a number of opportunities available in a variety of fields, including 3D Animation, Technical Writing, Public Relationtions, Security, and more. You can find a directory of currently open animation jobs at animatedjobs.com! Companies like DHX Media, Nickelodeon, Cartoon Network, and others have a number of open full-time, part-time, and freelance positions available, including social media, editing, and teaching. Bee Avenue! A Cafe-Themed Ace Attorney Fanzine is accepting applications until October 30. Artists will be paid “if there is a substantial profit,” but pay is not contractually guaranteed. Dead Lights Horror Fiction Magazine is accepting submissions of cover and interior horror art through December 15. Interior art pay is $5-$10 and cover art pay ranges from $40 to $80. DreamWorks Voltron Legendary Defender is running a Voltron Robeast Fan Art Contest. Design, illustrate, and submit your idea of a robeast within the Voltron universe for a chance to win an exclusive poster and original artwork drawn by a member of the show’s production team. Entries are due October 30, 2016 by 11:59PM PST. The Oofuri Secret Santa 2016 is accepting applications until October 28, 2016, at 7PM EST. Arts, fanfiction, and fan videos/AMVs are accepted. StarHammer is holding their first annual fanart contest. Click here (and scroll down) for more information. Entries are due by October 31, 2016. The TsukYam Gift Exchange, a gift exchange of art, fanfiction, and more for the Haikyuu characters Tsukishima and Yamaguchi, has applications open until November 18. The Voltron LookBook Zine is accepting applications until October 28, 2016, 11:59PM EST! Entries must be full color and safe for work, to be printed in a 7″ x 10″ perfect bound book. Artists will be paid if sales exceed production costs, but pay is not contractually guaranteed. Weekly Shonen Magazine and MediBang are hosting a manga contest! Submit your completed comic by January 12, 2017 for the chance to have your work reviewed by Weekly Shonen Magazine editors. Simply post your comic of 50 pages or less and MediBang will translate it. Winners will have an editor assigned to them to help develop your comic further. Grand prize winners will also be published in Weekly Shonen Magazine’s manga app Magazine Pocket. The Witchy Zine is accepting submissions of your best witch-themed art! Be sure to read the guidelines (if you can’t see the image and need me to type them out – let me know!). Submissions are due November 16, 2016. The newly launched Argot Magazine is seeking submissions about queer and marginalized experiences. Click here for more on their mission as well as their pay rates. Daft Zine is accepting submissions for their Daft Punk charity zine supporting Music Unites. Comics and illustrations will be accepted until November 1. Fiyah Lit Mag is seeking an illustrator for the cover of their January 1, 2017 issue. The theme is “Rebirth.” Portfolios are due by November 1, 2016. Check here for submissions guidelines. Graphix, an imprint of Scholastic that previously published Raina Telgemeier’s Smile, Jeff Smith’s Bone, and Kazu Kibuishi’s Amulet, is accepting submissions for graphic novelists creating works for children and teens. Visit their site for more information. The deadline to apply is April 1, 2017. The Mental Health Anthology is accepting submissions until October 31, 2016. You can use the hashtag #MHAnthology on twitter to search for writers, artists, or other collaborators. Here are the details about submissions. SCWBI is seeking submissions for the 2017 Tomie de Paola Award. Submit an illustration of yourself as a child in a children’s book expressing and portraying quickly-read emotion. Entries are to be printed on 8.5″ x 11″ paper and due by December 1, 2016. StArt Faire magazine is hosting a Halloween Contest where winners have a chance to be featured in issues 8 and 9 of their monthly online comic magazine. Rules can be found here. Submissions are due by October 29th, 2016. StArt Faire magazine is accepting comics, reviews, prose and art-related advertising for exclusive and non-exclusive presence in their e-magazine. Read here for more information. Submissions for the upcoming issue are due October 29, 2016. They’re also on the lookout for a regular interviewer! #Trans – An Anthology About Transgender and Nonbinary Identity Online is accepting submissions until October 31, 2016. Creative non-fiction, personal narratives, or a mix of both are welcome, with a length of 1000-4000 words. Check out the tumblr page for more information or to ask questions. Tu Books, the middle grade and young adult imprint of Lee & Low Books, has announced the New Visions Award for writers and graphic novel creators. The winner will be published under the imprint. Submissions are accepted until October 31, 2016. Check out College Art Opportunities for more exhibition, residency, and grant opportunities. Akimatsuri ’16 is accepting applications for vendors for their one-day Vancouver event held on December 17. Anime Expo, the largest anime convention in North America, will be opening their artist alley tables on November 1 at 12PM PST at this link. Tables will cost $425 each and will include one artist alley pass. Demand is high for artist alley tables in California, especially this one. My tips: have your credit card and other auto-fill information ready. If you don’t get a table in the first wave, wait thirty minutes, and keep refreshing. That’s how I got my table last year! Applications for BishounenCon’s artist alley are open until December 1. Vendor applications are also available and due on the same day. Be sure to get your applications in before then! Con or Bust has free tickets available for people of color for a number of upcoming international conventions, including ConClave, StokerCon, and others. Applications are due today, October 28, for the East Bay Alternative Book and Zine Fest held December 10, 2016. Click here to apply. I Need Diverse Games is offering 25 All Access passes to the 2017 Game Developers Conference held February 27 to March 3 in San Francisco, California. Scholarships for attendance will be awarded to members of marginalized groups. Travel grants may also be available and are funded through donations. Submit your application by November 1, 2017. FanimeCon 2017 will be accepting applications for their artist alley from November 4 to November 7. Be sure to have references of your art or what you might be selling ready! GeekGirlCon is looking for volunteers to help plan next year’s convention. Check the site for open positions, or sign up for the mailing list to hear more! Rose City Comic Con will begin accepting applications for their artist alley on November 1! We Need Diverse Books is offering an opportunity for mentorships for 8 aspiring authors and 2 illustrators who are working on diverse books. Mentorships will last for approximately one year, with mentors and mentees maintaining communication in a custom format best suited for them and their schedules. Applications are due by October 31, 2016. The Center for Cartoon Studies is accepting applications for a residency in Cornish, New Hampshire. The month of February 2017 would be spent in a secluded home on 12 acres of land and includes an honorarium of $600. Applications are due November 1, 2016. Cards Against Humanity is funding the Science Ambassador Scholarship, now accepting applications until December 11, 2016. The scholarship will cover full tuition for up to four years of an undergraduate degree for a woman studying science, engineering, or math. MyAnimeList is running a translation competition with submissions due by November 4, 2017. Prizes include a Macbook Air, Apple Watch, a chance to visit Japan for the awards ceremony, and potential translation job offers. Rainyuri is looking for 3 voice actors “with European accents” for their original visual novel. Participants will be paid $15-$25 for about 5 lines. Samples are due by October 29. Check the Casting Call Club and Voice Acting Alliance for more voice acting and audio opportunities. Cooler is looking for part-time writers to manage content and community, write editorial pieces, and make GIFs of ongoing popular TV shows. Contributors will be paid $15/hour and work 5-10 hours/week. Dead Lights Horror Fiction Magazine is accepting submissions of various forms of fiction and cover art through December 15. Accepted submissions will be paid according to the pay list. The Gay YA is seeking written submissions for Transgender Awareness Week. Posts should be between 800 and 2500 words and tie into trans representation in the YA genre. Please submit by November 1, 2016. Coinciding with the 50 year anniversary of Loving v. Virginia, a print anthology is seeking submissions about interracial relationships. Read this tweet thread for more information on how to submit. Please submit by November 21. PITCH, a graphic novel anthology that caters to comic writers, is accepting submissions until December 15, 2016. The script should be suited for a 12-page comic. Accepted entrants will receive $70 USD as compensation, as well as retainment of the rights of their story and credit as the writer. Siren’s Call Publishing is seeking submissions of fiction 4000-8000 words long on first-person horror. Accepted writers will receive $25 and a copy of the anthology. Read submission guidelines here. Submissions are due by December 1. Tapas is seeking original prose series to feature exclusively on their site and app. Stories should have at least 3 episodes consisting of 500 to 1000 words each. Genres favored by audiences include YA Fantasy, YA Romance, YA Sci-Fi, and slice-of-life with fun, relatable characters and a faster-paced storyline. Submit by October 31, 2016. Teen Vogue is accepting submissions of 500-1000 words on the topic “glass ceiling”. Submissions may be essays, short stories, or even poetry (200-400 words). Entries are due by November 2. Read here for official rules. Teen Vogue is also seeking a female gamer to edit their Gamer Gift Guide. Please email Phill at Phillip_Picardi [@] condenast.com for more information or to apply. Book Smugglers Publishing is seeking submissions for an anthology on the theme of Gods and Monsters. Length must be between 1500 and 17,500 words in length. Payment is $0.06 per word, up to $500. Submissions are due by December 31, 2016. Fiyah Lit Mag is seeking submissions of fiction and poetry for their Summer 2017 issue with the theme “Spilling Tea”. Submissions are due by January 1, 2017. Check here for more information and details. 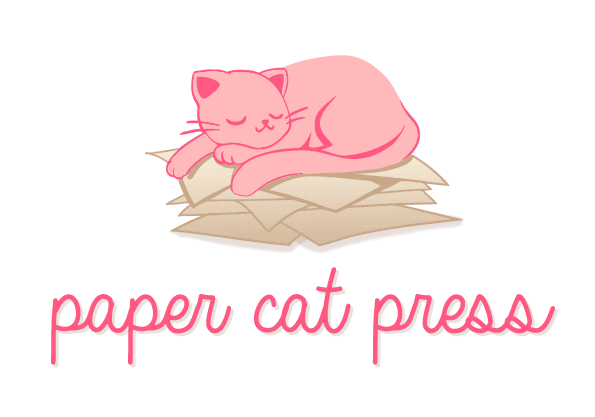 Handtype Press is seeking submissions from writers who are deaf or hard of hearing. Stories should be at least 500 words and at most 4000 words, with elements of science fiction, horror, fantasy, the supernatural, and/or magical realism. Submissions are due by December 31, 2016. Applications are open for The Limitless Light: Short Stories of Jewish Magic & Mysticism. Stories should be between 4000 and 10,000 words. Poetry and art will also be considered, if they fit the theme of the overall anthology. Submissions are due December 5th. Mentioned above: StArt Faire Magazine is seeking interviewers, reviews, and prose. The prolific Becca Hillburn of Nattosoup released two blog posts this week – one on the most commonly used watercolor techniques, and another on the different ways to promote one’s work (and all the non-art skills involved). She also released three videos on inking with a brush. Becca Hillburn is not only a provider of extensive, honest, and high-quality product reviews and tutorials, she’s a full-time comic artist and illustrator passionate about children’s lit and helping others. Check out her store, her book, or her Patreon and send her a “thank you” message if you can! Here’s an action by darue for removing white from lineart. Twitter user @kvebox made a spreadsheet comparing different online services for artists. Remember you can also check out the post I wrote about the costs of online storefronts and marketplaces, too! Glowing Raptor Goods has a free sample pack of brushes and comic pages for Clip Studio Paint available! Jetpens released guides on How to Use Manga Pen Nibs, A Comprehensive Guide on Noodler’s Fountain Pen Inks, and Watercolor Calligraphy. Kibou has made a version of her Leafy Brushes available for Clip Studio Paint (Photoshop version also available) on her site Shooting Stars! There are TONS of brushes available for Clip Studio Paint AND Photoshop, so be sure to say thank you! Liz Staley released a pack of Blendy Brushes for Clip Studio Paint/Manga Studio 5 and Urban Decay Texture Images! She also wrote a guide on Writing Onomatopoeia in Clip Studio Paint! Check it out! And don’t forget her super helpful Youtube videos, either. Copic Ciao, Original, Sketch, and Wide markers, as well as refill ink and other Copic brand products, are on sale at a huge discount at Joann! Thank you Justin for this awesome tip! Society6 is offering free shipping on everything through October 30. ZapCreatives is offering 15% off clear acrylic charms using code “clear15“. Although the deal ends November 1, you can apply the discount and have up to two weeks to upload your artwork. Twitter users can retweet this tweet for a chance at winning 50 1.5″ custom wooden charms! I haven’t used their services before, but you can check out what other artists have made through ZapCreatives on their twitter account. Experiments in Manga is having a giveaway for the first two volumes of popular manga Sweetness and Lightning! Read the blog for more information on how to enter. Entries are due by November 2, 2016. Goodreads is hosting a giveaway for Sparkler Monthly’s Dead Endings written by Jessica Chavez and illustrated by Irene Flores. You can enter to win until November 15, 2016. Jetpens is holding a giveaway for an Akashiya Japanese Gansai watercolor palette box, a set of Derwent Inktense pencils, a Pentel Aquash water brush, and a Maruman New Soho Series sketchbook at B4 size. Giveaway ends November 2. Twitter users can retweet this tweet for a chance at winning 50 1.5″ custom wooden charms from ZapCreatives. That’s it for this week! Look up for another post next week with these categories and possibly more. Is there something you’d like to see more of? Let me know!